Tired of the eating out during lunch or living off sandwiches? Well making a tasty healthy salad is not that difficult and all you need is one of your kids old lunch boxes and an ice pack to keep stuff cold. 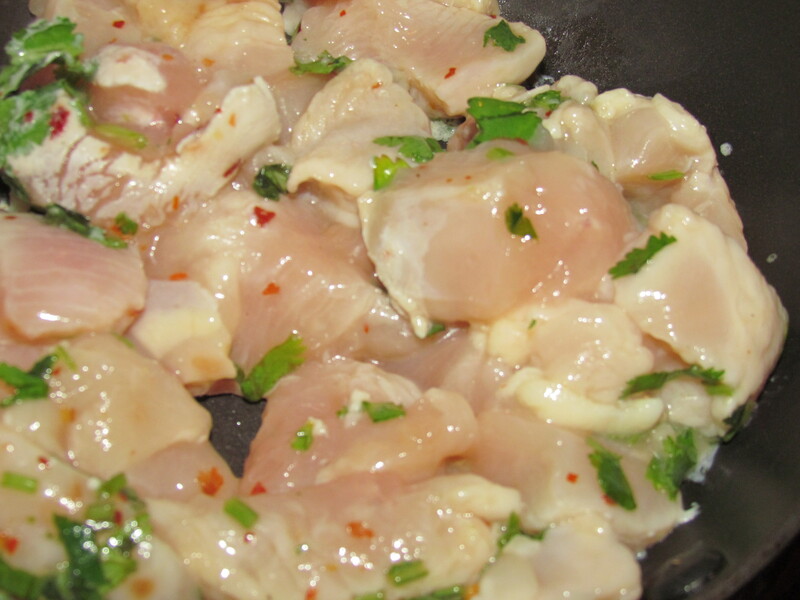 I had a left over chicken breast yesterday which I chopped up into bite sizes and then put into a ziploc bag with some lime juice, cilantro, red pepper flakes, salt and pepper and a drizzle of sesame oil. 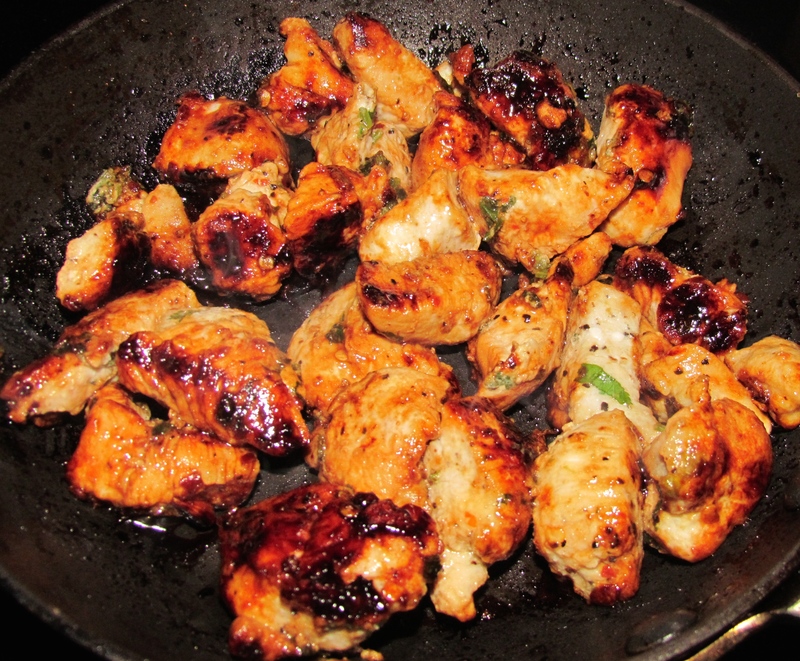 Today I gave it a quick cook in a pan until it was nicely glazed and of course fully cooked. I made a cup of black rice which I allowed to cool down, then I added the chicken to it, along with some chopped tomatoes, a little bit more cilantro (yes I do love that stuff) and a squirt of lime juice. Then its a matter of tasting and deciding if I need a little more salt and pepper, etc. 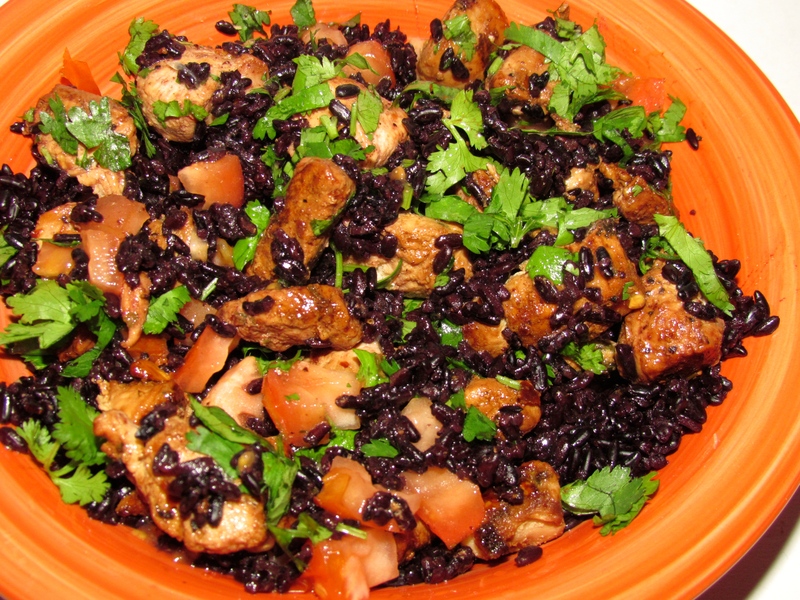 The Black Rice has a lovely nutty flavor to it, as well as being better for you than white rice.